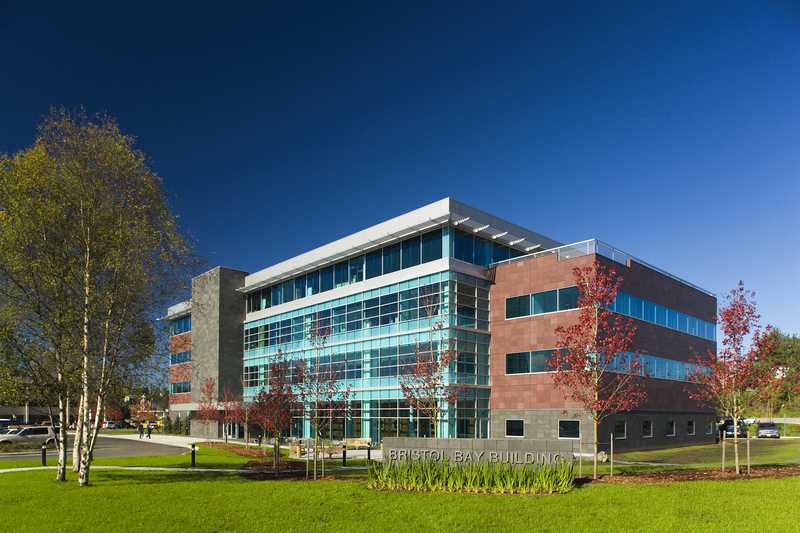 This fast-track design-build project for Bristol Bay Native Corporation was a 68,410 sq. ft. post tension concrete floor structure. It has a seismic core consisting of a concrete moment frame bearing on continuous single mass slab on grade. 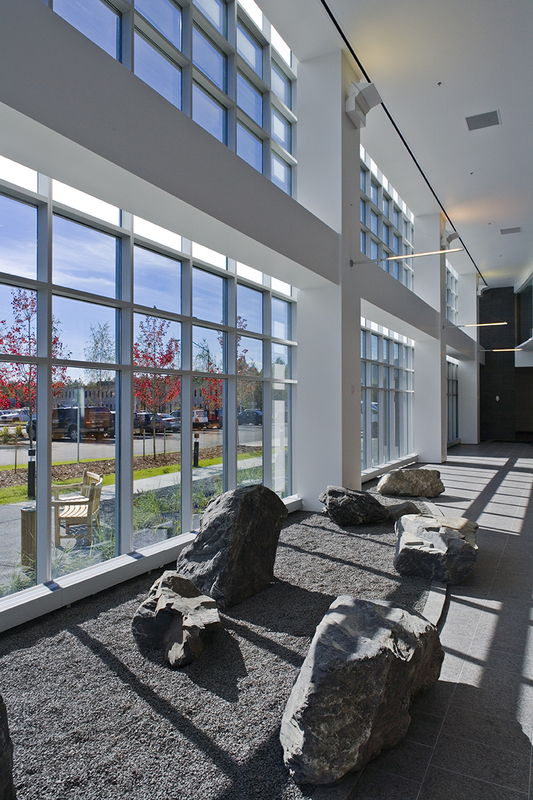 The fourth floor level patio has a heated slab for year round use, inclusive of planters with landscaping. 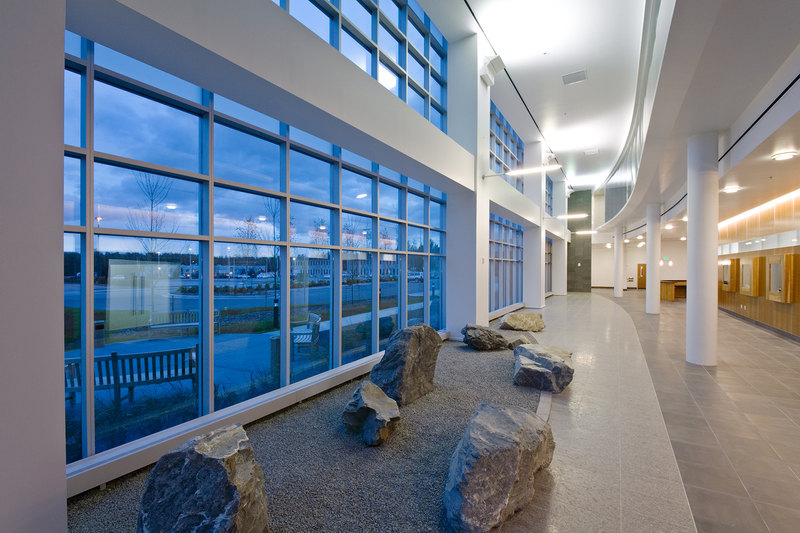 Granite was used extensively on the exterior and in the interior two-story lobby area. 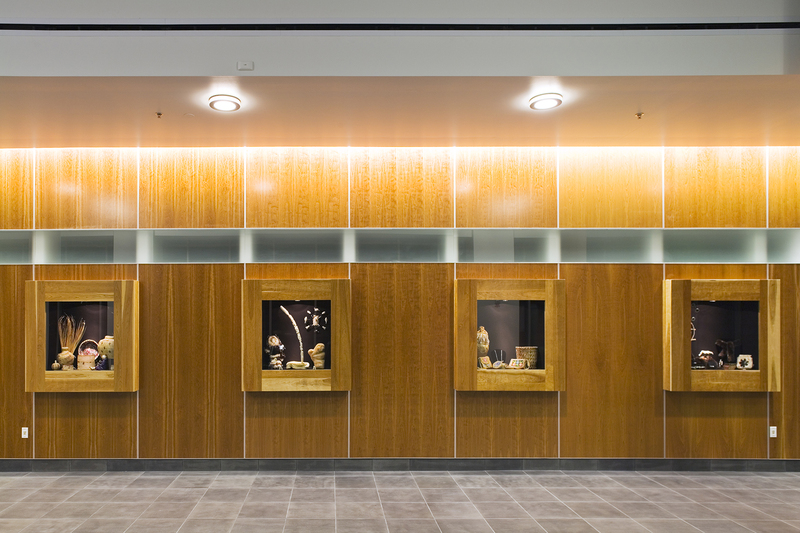 Cherry wood wall, display case and cabinet finishes can be found throughout the building. 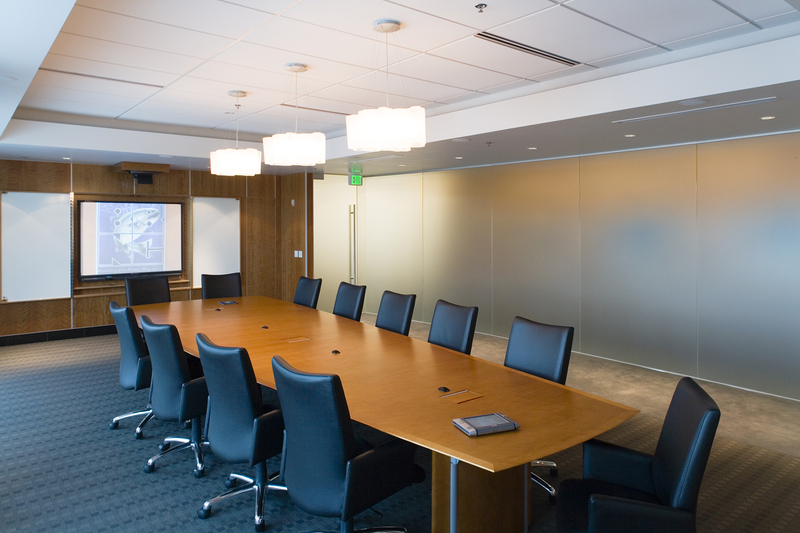 The executive boardroom includes radius full height etched glass walls with state-of-the-art interactive recessed projectors, projection screens, and AV cabinets. 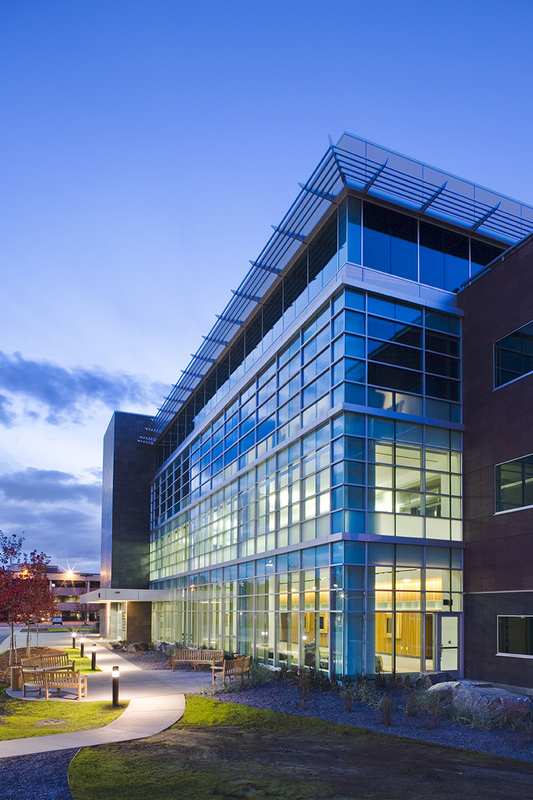 The exterior heated sidewalks include integrally colored exposed aggregate concrete. 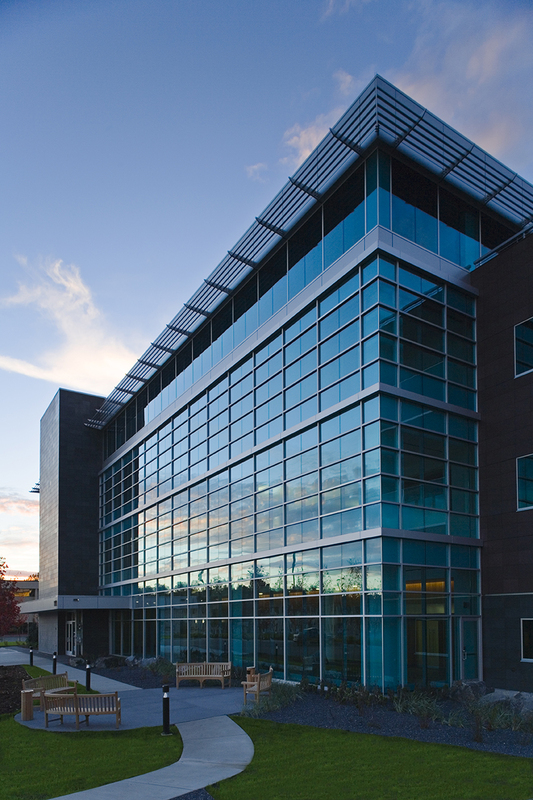 Even while integrating multiple lots with existing alleys and utilities into a single contiguous finished development, NCI was able to construct this beautiful office building and turn it over to the owner in less than 12 months.